Frances Kakugawa was only 5 years old when the Japanese bombed Pearl Harbor in 1941. Despite still being quite young, she quickly learned what that meant for her and her Japanese American family living in the village of Kapoho on Hawaii’s Big Island. Her family was loyal to the United States, but they still had roots in Japan and were forced to get rid of almost all evidence of these roots during World War II. 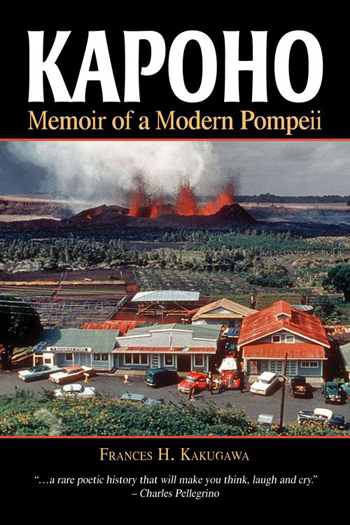 This is just one of many stories Kakugawa shares in “Kapoho.” The book is about her life growing up in a small plantation village in Hawaii. She also shares how she worked hard to speak like a “haole,” or a white person, in an effort to realize her dream of becoming a writer and poet, as well as the special relationship she shared with her mother throughout her life. Kakugawa’s memoir is a collection of vignettes, showing readers little snapshots of her life from childhood to adulthood. She didn’t have it easy. Her family was far from wealthy, and being Japanese during the war was more than a little difficult. But despite those difficult times, Kakugawa has fond memories of befriending American soldiers, as they stood guard throughout Kapoho, and of working as a maid for a white family to pay her way through college. She does not dwell on the bad parts. Instead, she focuses on the bright spots during the dark periods, reminding readers that even in the worst of times, there will always be a reason to smile. Throughout her stories, Kakugawa also gives us a glimpse into the simplicity of island life during that time. From lighting a fire to heat up the bathwater to not having to wear shoes to primary school, Kakugawa shares details that may seem minor, but paint a full picture of what it was like to grow up in Hawaii. Eddie Huang generally doesn’t have a problem expressing his feelings. If something makes him happy, he’ll let you know. If something makes him sad, he’ll let you know. If something makes him mad, he’ll let you know. If you make him mad, he’ll definitely let you know — most likely, violently. 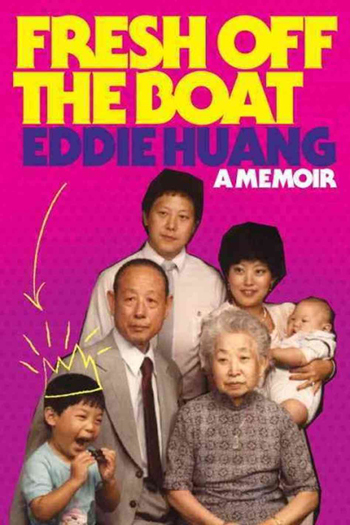 “Fresh off the Boat” tells Huang’s life story, beginning with his happy childhood in the DMV area (D.C., Maryland and Virginia), surrounded by family and friends. But everything changes when his family moves to Orlando and Huang finds himself navigating his way through middle school and high school as a Taiwanese kid in a predominantly white community. Filled with ups and downs — and a few detours and U-turns along the way — Huang shares how he came to be where he is today. He is the owner of his own restaurant, making it in New York. Despite all the hi-jinks that ensue from his act-first-think-later approach to life and his comic delivery, underneath it all, he is an angry and lost young man trying to figure out where he fits in the world. He doesn’t hold back, showing what it was like to be raised by abusive parents he could never please, to be enrolled in the gifted class while not even caring about school, and to be a kid who was never white enough for his peers and not Asian enough for his family. Amidst this pain and chaos, Huang also shares with readers his two great loves — the two things that always spoke to him — food and hip hop. From offering tips on how to make the best Taiwanese beef noodle soup to sharing rap lyrics that reflect any given moment of his life, it is clear that these were the most influential aspects of Huang’s life outside of his family. We’re reminded that no matter how confusing or painful life can get, sometimes something as simple as enjoying a good meal or listening to a good song is enough let us know things could be worse. 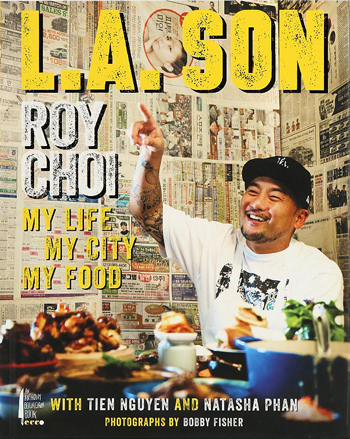 Growing up in Los Angeles in a Korean immigrant family in the 1970s and 1980s, Roy Choi saw his share of ups and downs. His family ran a number of successful — then failing — businesses, including a liquor store, jewelry store, and Korean restaurant. As a result, Choi knew what it was like to have money and to not have money. He watched his parents work hard at whatever venture they pursued. He took this work ethic and applied it to his own life, but not always in the most productive ways. He struggled in school, did drugs for some time, and developed a gambling habit. Choi hit rock bottom more than once, but that rarely stopped him. He was driven, but whether it was toward destruction or toward success, it was hard to tell. It was this drive and a penchant for wanting to do things his own way that led Choi to come up with the Korean taco and change the face of street food. His struggles show readers that life is never easy and sometimes things have to get worse — in some cases, much worse — before they can get better. But Choi kept at it and persevered, showing us that the struggle is worth it. Throughout Choi’s story are recipes, including Korean dishes straight from his family’s kitchen, as well as American classics and traditional dishes from other cultures. These recipes reflect not only Choi’s heritage, but also that of Los Angeles, where different cultures meet to make up the City of Angels.